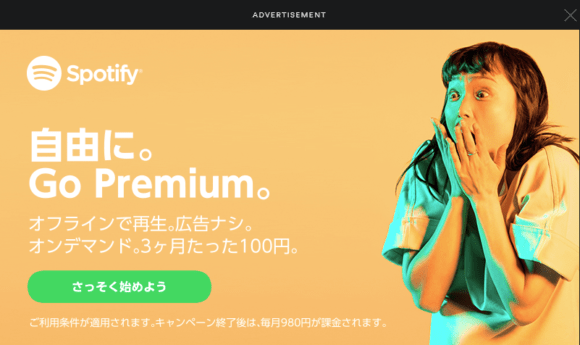 I’ve been listening to a lot of Spotify lately, and since I don’t have a subscription, I hear the occasional ad or two. But I’ve learned that the ads can be much more entertaining if you change your VPN settings (you ARE using a VPN, right?) to put you in a different country. I sometimes set it to Sweden and then the ads that come on are in Swedish. Of course, I can’t understand them, but it sounds so nostalgic from when I visited there for work. Most of the time, I set it to Japan so I can hear the Japanese Spotify ads. They are way cooler than the US ads. Plus, the graphical popup ads are nicer too!